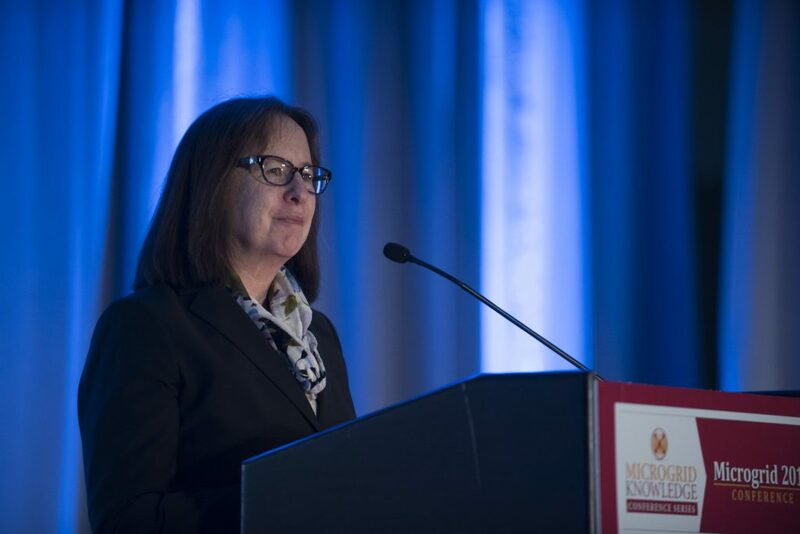 Hosted May 7-9 in Chicago by Microgrid Knowledge, Microgrid 2018: “Markets and Models for the Greater Good,” offered deep insight into microgrid business opportunities, financing, regulation, policy and real-world uses of the technology. 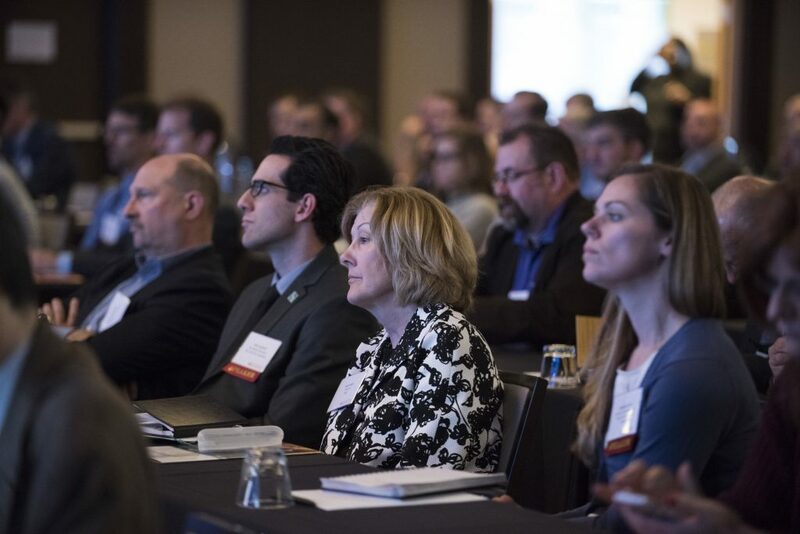 The near 400 attendees also had the opportunity to tour advanced microgrids and network extensively with their peers and those considering microgrid installation, among them utility, data center, and university representatives. Check out some of the highlighted content below from Microgrid 2018, as well as photos and poll results. And please mark your calendars for Microgrid 2019 in San Diego. Elisa Wood, Microgrid Knowledge editor-in-chief, welcomes Microgrid 2018 attendees. Peter Asmus, principal research analyst at Navigant, offers a global snapshot of microgrid development trends, then zeros in on Australia as the current hotspot for smart integration of distributed energy resources. Why Australia? Learn about innovative microgrids, virtual power plants and transactive energy deployments, as well as leading companies looking to export their expertise from down under to the rest of the world. Given the crucial need for power in a digitalized society — and the grid’s growing vulnerability — energy reliability and resilience are organizational risk factors. How can risk officers within corporate organizations set these values? Experts from Schneider Electric, NEC Energy, Eaton and the Illinois Commerce Commission discuss the value of microgrids and the energy resiliency they provide. Microgrids and the New Energy Landscape Don Wingate, vice president of sales, utility solutions, at Schneider Electric, explores microgrids and the new energy landscape, as well as energy infrastructure alternatives that unlock better efficiency, sustainability and resiliency. Gordon Bubolz Nature Preserve — How a Microgrid in the Woods Supports Business Objectives and Our Future Workforce Terry Bickham, vice president of energy at Faith Technologies, covers the Gordon Bubolz Nature Preserve microgrid, as well as its benefits stemming from the microgrid design and utilization. Redwood Coast Airport Renewable Microgrid — Demonstrating a Viable Business Case Jim Zoellick, managing research engineer, Schatz Energy Research Center at Humboldt State University, explores the Redwood Coast airport renewable microgrid. Benefits include greater resiliency in times of disaster, energy cost savings, local jobs and more. BEAT: A Case Study in Urban, Clean Energy Microgrids William Abolt, vice president of energy at AECOM, offers a case study at Microgrid 2018 for the The Berkeley Energy Assurance Transformation (BEAT) project — a plan to advance preparedness and equity in Berkeley, a community known for its inclusiveness and innovation. North Bay, Ontario Community Energy Park Avis Petersen, project manager of power system services at S&C Electric, describes how the North Bay Community Energy Park in Ontario is improving community life for the area. Laying the Ground Work: A Case Study at Denver International Airport Claire McKenna, associate, vice president of energy at WSP, explores plans for a microgrid at Denver International Airport. H.G. Chissell, Microgrid 2018 master-of-ceremonies and founder and CEO of Advanced Energy Group. Microgrids are often built as customized, one-off projects. Concern exists that the industry cannot scale under this model, and prices will remain out of reach for many smaller facilities, such as farms. Here Craig Wooster, project manager and general contractor for the Stone Edge Farm MicroGrid Project, unveils a new microgrid system that overcomes this problem and can be largely installed in a day. Microgrids offer a classic example of government policy chasing technology. While microgrids are being developed worldwide, few jurisdictions offer much-needed policy guidance and certainty. Edward Yim, associate director at the DC Department of Energy and Environment, shares how scalable resilience can pave the way for a more reliable energy future. Bob Wengel, vice president of facilities at Shedd Aquarium, describes the microgrid at the aquarium, a facility which is home to 32,500 animals. Check the Stack: A State Policy Framework for Supporting Resilient Microgrids Jeffrey Cook, NREL, renewable energy policy and market analyst, explores how to build a policy framework for resilient microgrids in today’s climate. U.S. Microgrid Costs and Cost Projection Model Francisco Flores-Espino, an NREL energy analyst, offers a U.S. microgrid cost and cost projection model. Explore the variables that have the most significant impact on costs and potential areas for cost reduction. NREL raises the IQ of microgrid controllers in an innovative procurement program. Experts from NREL explore the latest research. Having been part of the evolving energy infrastructure market for 15 years, GI Energy shares experiences of the processes required to ensure a DER project can address all stakeholder requirements. Case studies include: Parkville Microgrid (Hartford, Ct.), San Francisco Naval Shipyard Eco-Grid, Con Edison Energy Storage Demonstration Project (New York City), and Cornell Tech (Roosevelt Island, N.Y.). 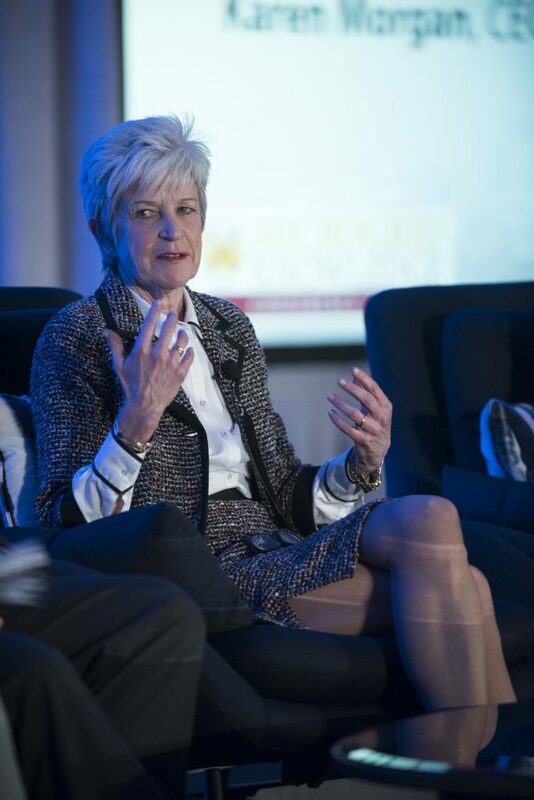 Dynamic Energy Network’s Karen Morgan explains at Microgrid 2018 how crucial industry partnerships are to the future of microgrids. This presentation on urban microgrids includes research and analysis on the Philadelphia Navy Yard microgrid and the Hudson Yard microgrid. Experts from NetZero Microgrid Solutions and Ameresco explore how the Philadelphia Navy Yard microgrid is anchored by a natural-gas peaking plant, while the team at Veolia explore how they are helping power 10 million square feet in New York City’s west side. The Case for Fuel-Cell Microgrids in Education, Healthcare, Government, Utilities and Industry Geoff Slevin, director, business development at FuelCell Energy, offers the case for fuel-cell microgrids. Fuel cells can be more efficient than competing baseload technologies and product lower CO2 emissions. Say Hello to Hybrid Microgrids: Renewables, Storage, Diesel – and Intelligence Dean Tuel, vice president of Americas sales at Younicos, walks through the benefits and possibilities of hybrid microgrids — for example, diesel plus energy storage application in remote areas. Island Detection in a Microgrid Dan Jones, electrical system studies engineer and POWER Engineers; and Keith Gray, SCADA project engineer at POWER Engineers, explore island detection in microgrids through a case study. Puerto Rico: From Tragedy to Innovative Model for the World? Preliminary Microgrid for Resiliency Planning — A Guide to Deployment Strategy Jared Leader, senior associate at Smart Electric Power Alliance, describes the recent devastation in Puerto Rico as a use case for the power of using microgrids for resiliency. Renewable Microgrids for Disaster Response William Heegaard, founder of Footprint, explores the use of renewable microgrids for more efficient disaster response, using the example of Puerto Rico. What does government need to change to advance microgrids? 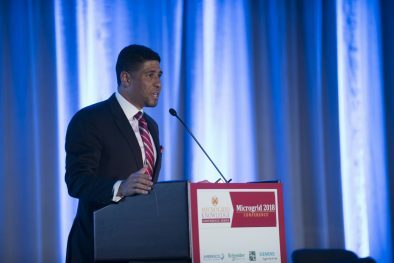 Microgrid 2018 drew about 400 industry leaders to Chicago in early May. Will we see a large increase in microgrid projects as a direct result of the 2017 North American major resiliency events? What is the magnitude of change in willingness to pay for resiliency benefits twelve months following a major resiliency event? Which musician through history would you bring back to life? Click here to get the Microgrid 2018 Audience Polls and Surveys PDF. Please note that the poll results are copyright protected, so please source to “Microgrid Knowledge: Microgrid 2018 Conference” when quoting this data. Did you attend Microgrid 2018? Look for photos of yourself and colleagues. If you didn’t attend, look what you missed! Join us in San Diego, May 2019, for the industry’s next annual conference, Microgrid 2019. To track announcements about the event, sign up for the free Microgrid Knowledge newsletter. For information about sponsorship and exhibitor opportunities, contact Kevin Normandeau, Kevin@MicrogridKnowledge.com.